The holiday cottage of "East Wing" can be found in Crewkerne in Somerset. East Wing can sleep 4 people with 2 bedrooms to sleep your holiday party. East Wing has a bedroom makeup of: Two bedrooms: 1 x super king-size double (zip/link, can be twin on request) with en-suite bath, hand-held shower, walk-in shower, basin and WC, 1 x super king-size double (zip/link, can be twin on request) with en-suite shower, basin and WC. Open plan living area with kitchen, dining area and sitting area with sofa bed and woodburner. It's worth looking at East Wing if you're after a family holiday cottage. These are the reviews for East Wing. There are 23 reviews. It has everything you need for a nice relaxing holiday. The only downside really is where it is situated which is on a very busy main road (A30) traffic backs up and queues right outside the front door. The owners are very friendly and attentive. Unfortunately nothing can be done to prevent this but it should be made clear in the online description to avoid disappointment. Unfortunately Crewkerne is suffering from the town pubs closing down or not serving food, I think only the Swan Hotel is still serving food. however there are excellent pubs in the local villages. The cottage was excellent - immaculate. The only downside would be traffic noise as it faces directly onto a busy road. Having said that, the rear bedroom is very quiet. Victoria and the family made us very welcome. We received a very warm welcome from the owners upon arrival. The cottage was perfect for our stay and all essentials were provided. The cottage was spotless and was very neatly decorated. We were amazed with he wonderful cottage and all that was provided by the owners for our stay. 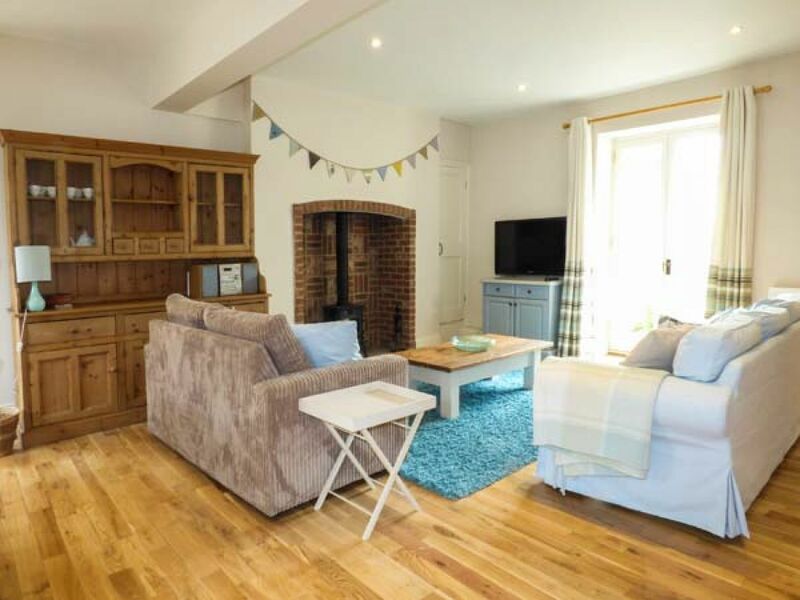 The cottage was in an ideal location for touring the local area and was within a short walking distance of Crewkerne which had a range of shops, restaurants and two supermarkets. East Wing is by far the best holiday cottage that we have ever stayed in and we would not hesitate to book another stay at this accommodation. The cottage is well appointed, (although the road is quite noisy, but not a major problem), We were met by our host Victoria and received a very warm welcome, The cottage is very well decorated, very well equipped and very clean, and comfortable. It has excellent parking, and only a few minutes walk to Crewkerne. There are places to eat, have a drink and a supermarket all very close to the cottage. Victoria advised us to contact her if we had any problems, but this was not necessary as our stay was without any problems. We would certainly use this cottage if we were ever back in this part of the country. What more could we expect. Crewkerne, itself, was a little disappointing for places to eat in the evening but travel 2-6 miles and we found some good pubs. A quality cottage that was spacious and comfortable. When we arrived there was a bottle of wine,some milk,doggy treats and poo bags! How thoughtful. Would definitely recommend this place to stay. Owners were very helpful and friendly. Crewkerne had some lovely shops and eating places and we were able to get to several places to visit from this lovely location. Our hosts were generous and friendly, parking was easy and Crewkerne is a very good base for visiting the many attractions in the area. Thoroughly recommended all round. East Wing was within easy walking distance of the town centre, shops & eateries and it was very useful having private parking on the doorstep. East Wing had everything one could ask for. It was very clean and had all the necessary equipment one has at home. eg dishwasher, washing machine, hair dryer and, as it snowed on our visit, a log burner to complement the central heating. All in, accommodation that I would visit again in the future. It is clear that the owners have spared no expense to provide the highest quality in every respect. From the kitchen appliances and equipment to superb towels and bedding we could not have been happier. During a rather damp and dreary week of exploring the local area in early March it was a great pleasure to return to such a comfortable base and light the log burner. The local Waitrose store is just a few minutes away and provided us lots of 'goodies' which were easy to prepare in the lovely kitchen. There are several eating places and pubs in Crewkerne but we only ate out once, preferring the comforts in our 'home from home'. There is private off road parking at the rear of the property. The owners live on site and are happy to help with local information and any problems that might arise. If there is any criticism it is not of the property but of the busy road that passes in front of it. The traffic noise is rather intrusive, particularly in the morning and evening. We must stress that there were just two of us and we were not unduly troubled by this. We slept in the lovely rear bedroom which overlooks the garden and was silent. If both bedrooms were needed, those sleeping in the front bedroom might find it a little noisy if they are light sleepers. All in all, an exceptional property and the best holiday rental we have stayed in, anywhere! A real credit to the owners. The area is fabulous with plenty to see & do, we crammed in as much as we possibly could during our stay, highly recommend the west Wing to anyone considering staying here. The house was very well equipped, being able to take two dogs was a bonus, dog walking not far away for the early morning walks unfortunately going in January there was a lot of mud around. Thanks again we are looking forward to the next Sykes holiday in six weeks time. 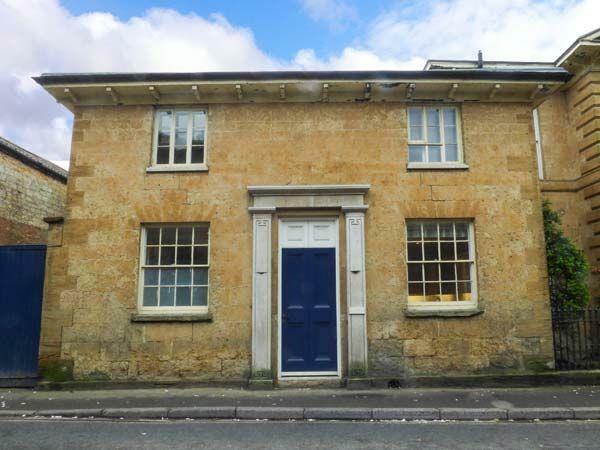 We live in a very rural location and love it, so for us a cottage in a town, where you can walk from your front door on lit footpaths to the shops and for dog walking is a must and East wing is within 100 metres of the centre of Crewkerne, which for us is great. Having stayed at various Sykes cottages we can say that this one is top notch, 10/10. We are already planning a return visit. David & Susan Russell from Kent. The cottage was well equipped & beautifully decorated. We really enjoyed our stay ! Beautiful cottage with every creature comfort you could wish for! Well equipped & a pleasure to stay in. Couldn't fault it! Property is delightful, owners are lovely people. We given a brief introduction to the cottage, however as the information provided in the property was so good it didn't take long at all. The wonderful touch of being greeted with a bottle of wine and a bag of doggy treats set the tone for our short break, as did finding that the owners had anticipated our needs and comfort though-out the property from the little care packages in each bedroom to leaving milk in the fridge. The sofas and beds were comfortable, the duvets snuggly and the pillows and towels fluffy; what else do you need! The only downside was that being open plan the downstairs can get a little chilly as it is a big space to heat (we were visiting over a chilly April Bank Holiday), but once the heating gets going it is very good. We would love to visit again, Simone and Martin. If you're looking for other cottages around East Wing, we've got some cottages below which may take your liking. There are 21 cottages within 5 miles of East Wing - and they have reviews too.